This entry was posted on March 6, 2010 at 1:46 am and is filed under Arcade Games. You can subscribe via RSS 2.0 feed to this post's comments. 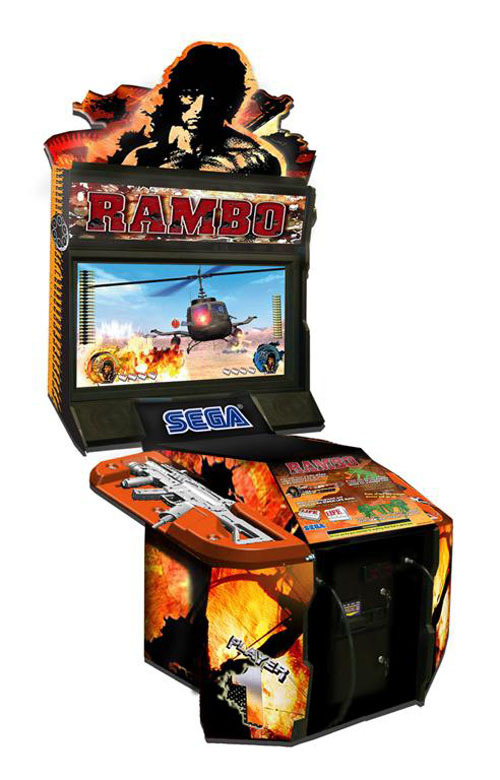 what happened to that other small version of rambo that used the 2 spicey cabinet? it does make me wonder if they upgraded the software though as the game ran slower than the actual footage of the game in action when not in play don’t know if anyone noticed it, though I can’t see them tweaking it though if the game is cheap. the smaller 32″ cab is still out there but where they are selling this 42″ for the same price as they sold the 32, I’m guessing that the 32″ will get a nice price drop or it will be discontinued. It’s a horrible game in general. I don’t know what sort of monkeys Sega hired to develop it. Games that are a couple of generations older like Virtua Cop 3 or Ghost Squad look far superior.